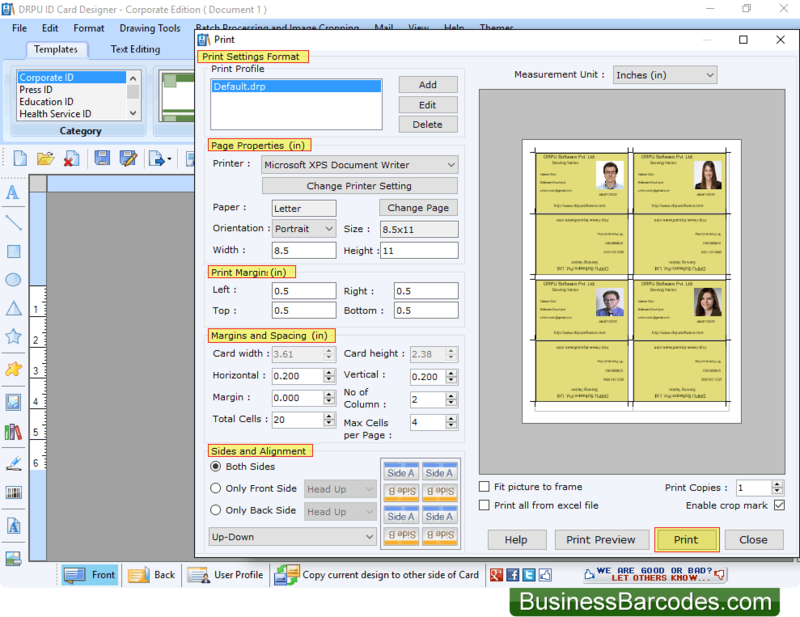 Fill Card Name and Select Required number of Sides, Card Size, Card Category and Card Shape (Rectangle, Rounded Rectangle or Ellipse) as per your requirements. 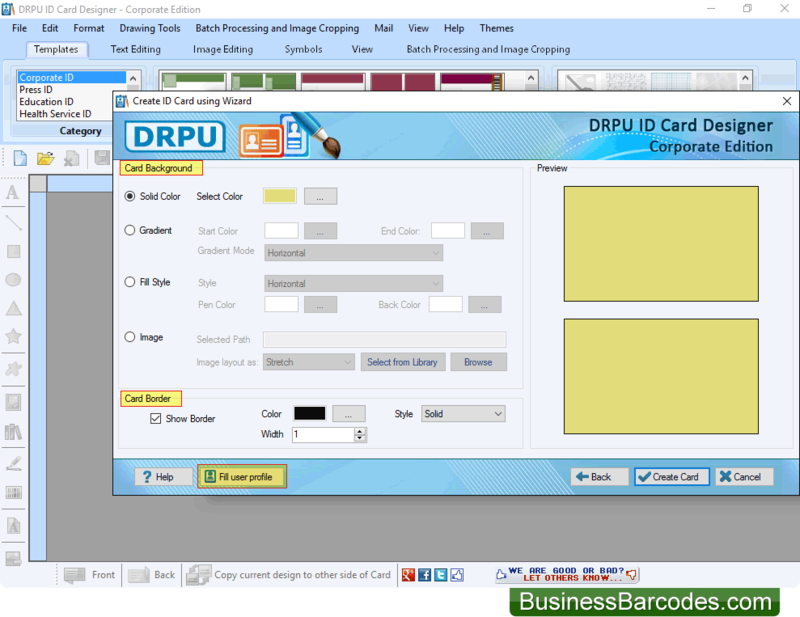 Select Card Background, Card Gradient, Image and Border. 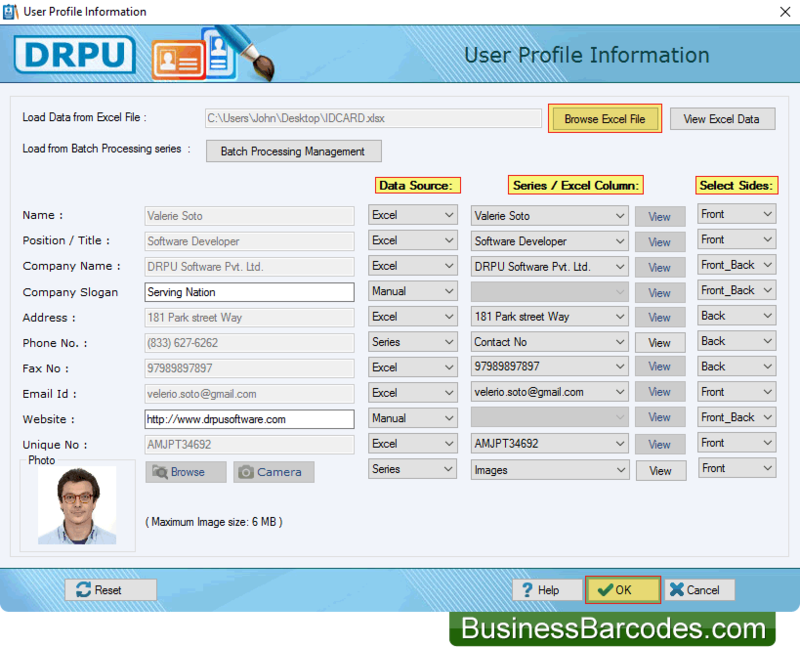 Now Click on "Fill User Profile" button to fill all required details of user for your ID card. 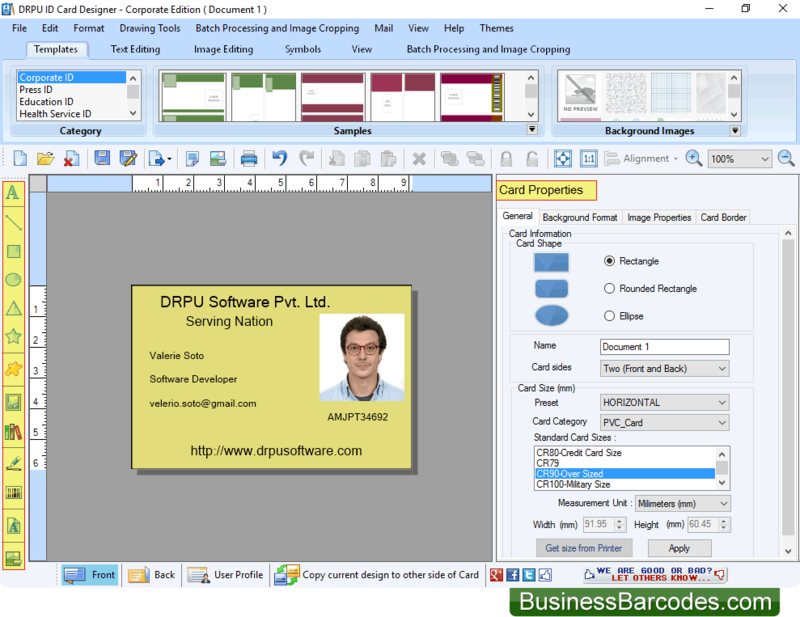 You can enter all details by browsing Excel file or you can enter all required information manually. Here, is your designed ID Card. 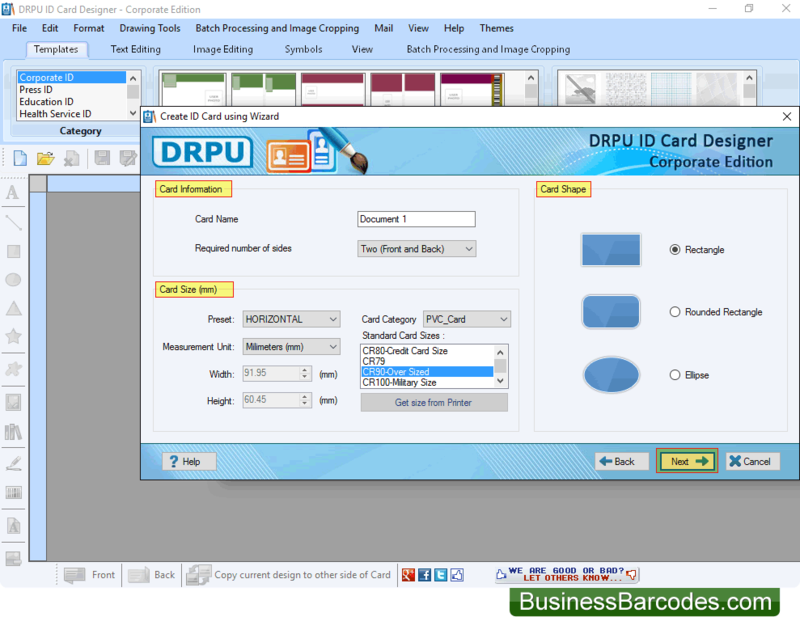 If you want to do further changes in your ID card, then you can use Card Properties options.